Motivational Interviewing. (3rd ed.) by Miller, W.R., Rollnick, S. 2013. Building Motivational Interviewing Skills by Rosengren, D.R. 2009. A Taste of Motivational Interviewing. Motivational Interviewing. by Motivational Interviewing Network of Trainers (MINT). In order to address the complex topic of weight related counselling, a group of FNH 480 students decided to put together the following podcast. 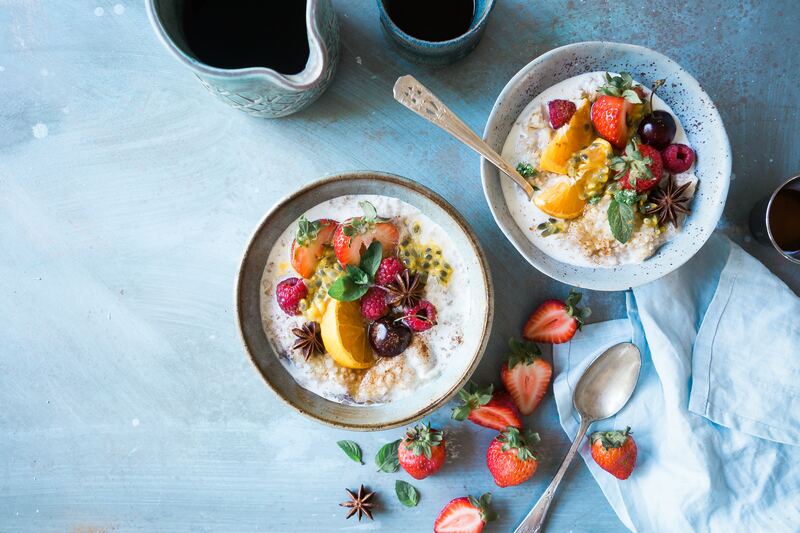 They interviewed five experienced local dietitians with a wide range of approaches to weight counselling, to ask them about their perspectives and to share their thoughts and tips for resources they use related to weight counseling. Gerry Kasten - Many of the listeners will recognize Gerry from courses he teaches in the Food nutrition and health program at UBC. Outside of his time at UBC shaping future dietitians minds, Gerry is a public health and home care dietitian, a community leader and seems to be involved in just about everything related to the profession of dietetics. He has an Honours Diploma in Commercial Cooking and has both a Bachelors and Masters degree in Nutrition and Dietetics. Emma McCrudden - Our second dietitian is originally from Ireland and Like Gerry, she is also a lecturer at UBC, teaching Sports Nutrition courses in the FNH and Kinesiology departments. Before joining UBC, she completed her Masters in Sports Nutrition and Exercise Physiology and previously worked as a Performance Dietitian with a number of organizations including the English Institute of Sport and the Canadian Sport Institute Pacific. Her work focuses on nutrition-related performance enhancement in sport and she is also the Sport Dietitian for the UBC Thunderbirds Varsity programs. Kara Vogt - An educator with the UBC Dietetics Program. Prior to taking on a role as an educator, Kara’s dietetic practice included work with a variety of clients, in out-patient, in-patient and residential care settings. Kara has worked with adults and youth in her 10 year career as a dietitian and has special expertise supporting individuals struggling with eating disorders. Heather Woodward - A clinical Dietitian with the Copeman Healthcare Centre. She completed both a Bachelors of Science in Food, Nutrition and Health at UBC and Exercise and Health Physiology from the University of Calgary. Following graduation Heather completed her dietetic internship with Providence Health Care here in Vancouver. Emily Zamora - Emily completed a Bachelor of Science in Applied Human Nutrition through the University of Guelph in Ontario and a Masters of Science and dietetic internship through McGill University in Montreal. Emily began her career in Montreal, working as a Clinical Dietitian specializing in obstetrics and diabetes. She then moved to Ontario, where she obtained her Certified Diabetes Educator certification and worked at three Diabetes Education Centres. Emily now lives in Vancouver and works as a casual Clinical Dietitian. A special thank you to Christine Shaddick, a Registered Dietitian at Copeman Healthcare, who met with our group and provided resources and insight for this project. Additionally, thank you to our Course Instructor and Program Coordinator Karol Traviss for her ongoing support in the project. Counseling Tips for Nutrition Professionals by Molly Kellogg. Volume 1 and 2. 2009. Nutrition Counseling and Education Skill Development by Kathleen D. Bauer. 2012. 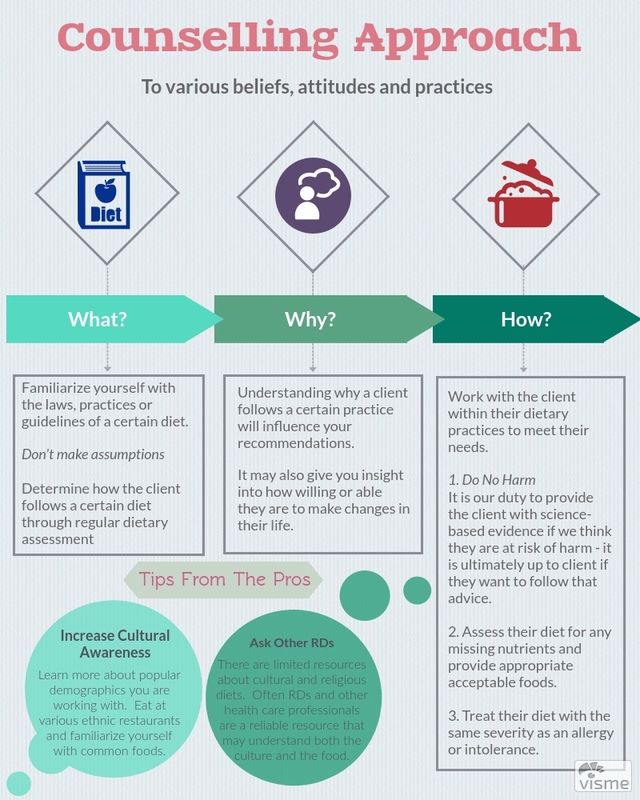 Nutrition Counseling Self-Efficacy of Registered Dietitians. Nutrition Education + Counseling Skills Module. by Dairy Council of California.